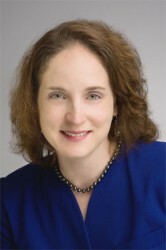 Career Advisory Board member and business and workplace consultant Alexandra Levit. More than 14 million Americans are looking for work, yet 3.1 million jobs remain unfilled because hiring managers at top U.S. companies are unable to find qualified candidates. “This is absolutely astounding. There is actually a disconnect on behalf of the job seeker,” said Levit. More than 70 percent feel that they know how to present their skills. This is a critical problem because the job seekers feel that they are confident in their abilities, but at the same time they either don’t know how to present their skill or they don’t have the skills to begin with.” On behalf of the Career Advisory Board, the survey interviewed 540 hiring managers and 734 job seekers to determine what attributes employers consider most important. “The message is really positive,” said Levit. “It is not like we previously thought where you can interview for a hundred jobs and not get one because it was not going to be available. The truth is there are little tiny things that you can do in your everyday life that can be affective and marketable.” Levit dispenses key strategies to improve job search success for job candidates. To obtain valuable and relevant experience, take ownership of your development by looking for opportunities to improve your core competencies and learning those skill sets that are valued by employers. A strong and memorable personal brand that captures the attention of prospective employers on social networking sites, such as LinkedIn, will set you apart from the competition. Developing a mentoring relationship will help you build a foundation and set the pace for your career. Mentors can help you learn about a realistic career path and what it takes to succeed. If you would like to further explore the Job Preparedness Indicator survey, visit www.careeradvisoryboard.com.